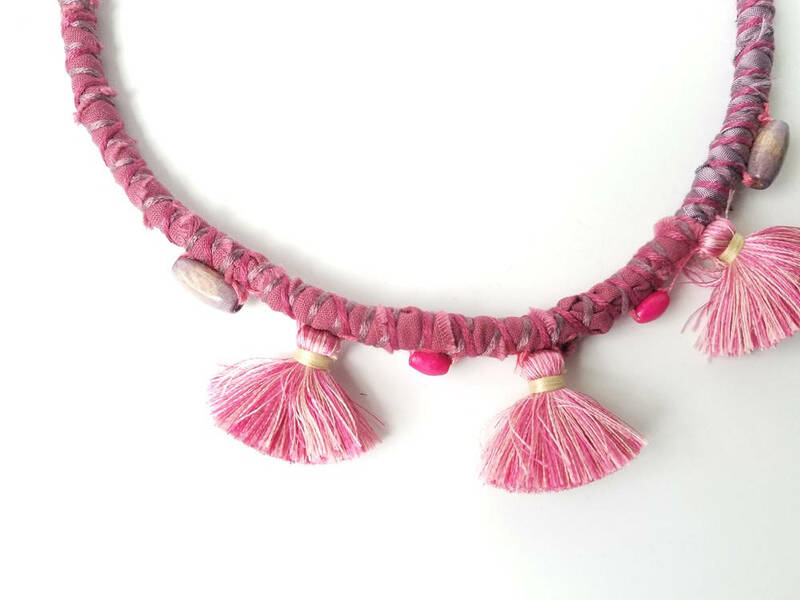 This is a fabric necklace in bright, summer colors to add a pop of playful color to your day! 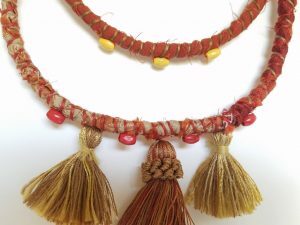 The necklace is adorned with three tassels and wooden beads. 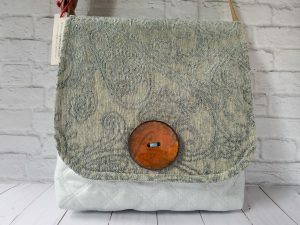 Give it to yourself or get it for a special woman in your life! 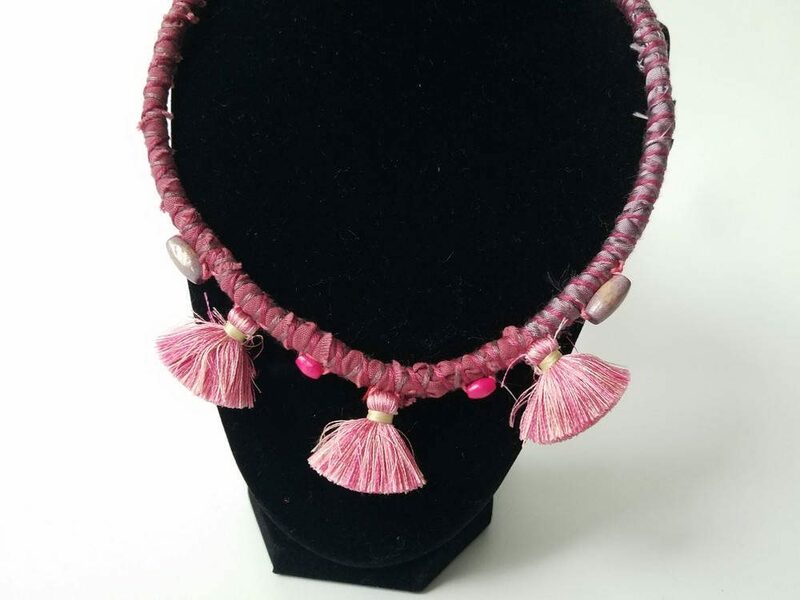 – 21" long, with an end-chain that can add another inch or so. 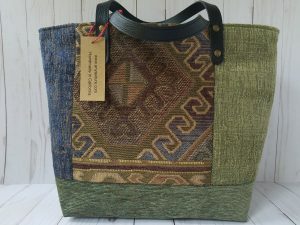 – Rescued luxury silk and other fiber designer fabrics. 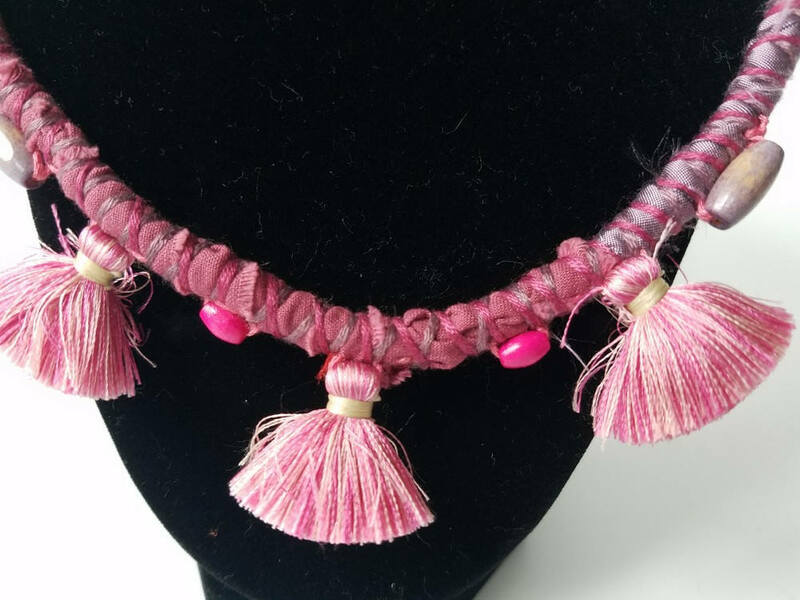 – Pink and purple silk and other fabrics. – Uses several colors of matching embroidery floss. 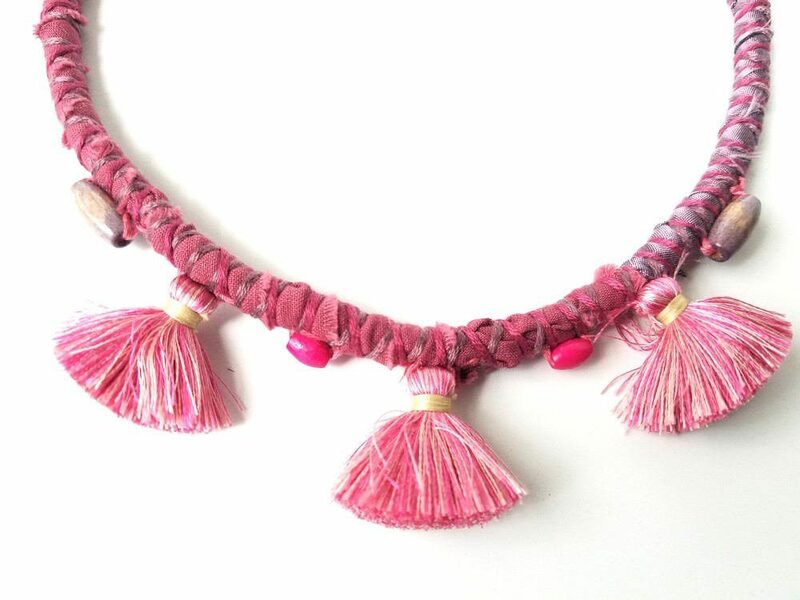 – Features three pink tassels. 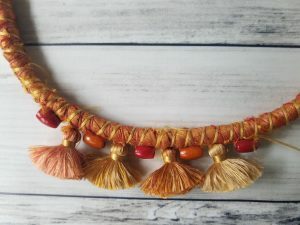 – Adorned with colorful wooden beads. 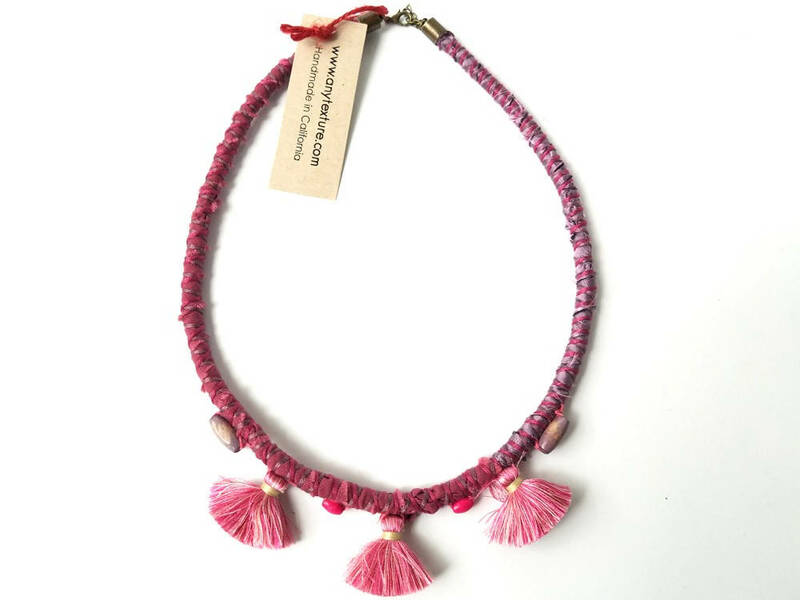 – This necklace is sustainable and eco-friendly.